In Summer of 2010, I discovered that Samuel Adams was planning on creating a high ABV beer with a German brewery. This interested me, as you don't see interesting partnerships like this quite often. This beer turned out to be Samuel Adams' Infinium Ale, which was a partnership with Bavarian State Brewery Weihenstephan out of Germany. 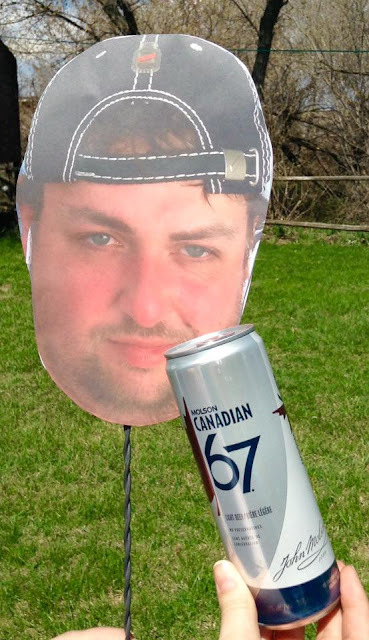 I immediately wanted to try this.. however, this beer was not available in Manitoba (or North Dakota) in 2010. A few weeks ago, I was having a chat with the local LC manager, he tells me that there's a new "champagne beer" from Sam Adams coming in stock soon. I immediately knew that this was Sam Adams' Infinium. I was looking forward to trying it because, hey, I like trying new beer! I picked up a bottle, which is $17 or so before tax, has an ABV of 10.3%, and comes in a very beautiful painted & corked bottle (750mL). I find Boston Beer Co's beer hit or miss, but compared to the Macros (MillerCoors, Anheuser Busch InBev), their beer is pretty good. The bottle states that it has over 1000 years of combined brewing history. 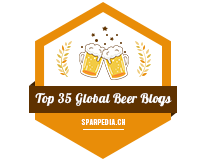 I thought it was one of those things where they would combine the amount of years each employee worked for their respectful company, but nope - Weihenstephan was originally founded a very very very long time ago (back in 725). Appearance: My friend Rhonda told me the other day that it reminded her of Big Rock's McNally Strong Ale. Appearance wise, it really does look like McNally's, but slightly lighter. 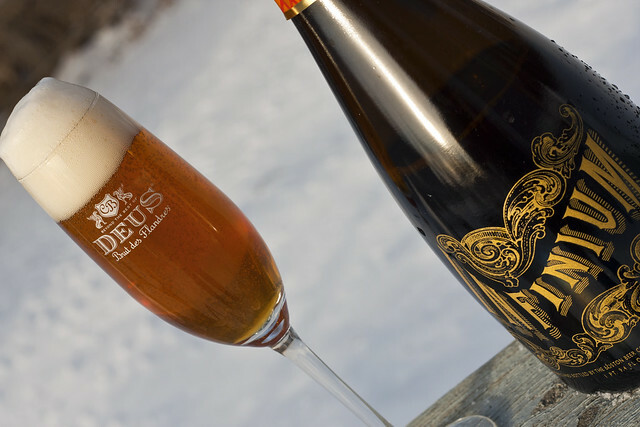 It's a rich honey/caramel colour, somewhat carbonated, but not as much compared to DeuS Brut des Flandres. The head is very foamy (not going down), and creamish. Honestly, I expected it to be very comparable to DeuS in every way, it doesn't appear to be that way. Aroma: It's a grainy maltiness. It really doesn't remind me of DeuS at all, but much more similar to McNally's Extra Strong Ale, somehow. A bit of a floral and bread smell. Not champagny at all, in any way. Taste: Incredibly sweet and malty. I'm not noticing any comparisons to champagne at the moment. It REALLY does compare similar to McNally's. It has a nice amount of citrus in it. I'm really trying to find the champagne, but just can't find it. Sweet, malty, citrusy, a bit of a sourness that would easily scare off someone like my mom. A bit of hoppiness. 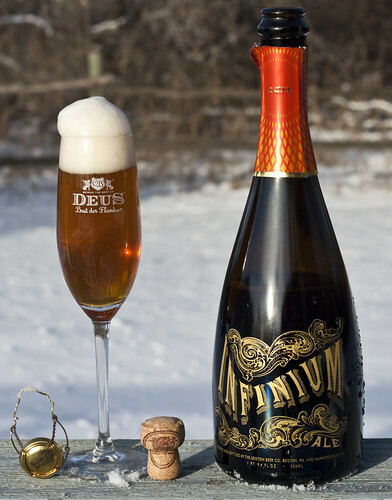 The bubbles on the tongue does remind me of champagne.. but I couldn't compare this to DeuS or champagne in any way. Very different. Overall Thoughts: For $17/bottle, very pricey. If you want to save money, get Big Rock's McNally Extra Ale. It's a very sweet, malty, carbonated, caramelly, citrusy ale. Would I buy this again? Perhaps for an event like New Years Eve, but not for general consumption. It does have an ABV of 10.3% so you will get a bit of a buzz if you don't watch out. As I was expecting a DeuS champagny-style beer, I was a bit shocked. As Rhonda says: "The Redneck Infinium: carbonate McNally's with CO2!"